The first compressed natural gas (CNG) engine with 8-speed automatic gearbox. 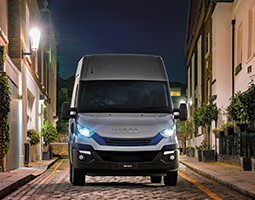 IVECO’s new sustainable range of light commercial vehicles (LCV) offers operators unlimited delivery in urban areas. It is made up of three vehicles and three technologies for a sustainable business – ready for the challenges of 2020 Environmental targets. 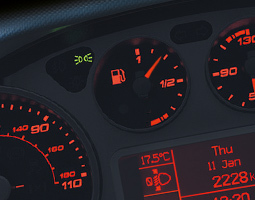 Choose from the Daily Electric, Daily Hi-Matic Natural Power, and the Daily Euro 6 RDE 2020 Ready. All three offer a sustainable and efficient solution for the urban transportation of people and goods. It combines technology, low emissions, performance, and efficiency to perfectly suit your urban operations. The New Daily Hi-Matic Natural Power (NP) provides comfort, safety, fuel economy and high performance on a wide range of models, satisfying all your business requirements. It is also extremely quiet, perfect for night-time deliveries in urban areas. It has outstanding fuel economy and close to zero CO2 emissions with Biomethane. By using biomethane to power a gas vehicle the harmful effects of waste gases are significantly reduced, as only carbon dioxide and water remain after combustion making it a clean and safe energy source. The New Daily Hi-Matic also features a 3-litre F1C engine that generates 136hp to deliver best-in-class torque of 350Nm which can tackle all missions, including the most demanding refrigeration systems. Some of the Natural Gas advantages are the engine performance is equal to diesel version, load capacity is equal to diesel version (depending on national legislation), fuel cost saving can reach up to 35%, 4dB lower engine noise Vs diesel, up to 5% lower CO2 emissions Vs diesel (up to 95% CO2 well-to-wheel by using biomethane), lower emissions Vs diesel (12% less NOx, 76% less particulate matter) with less complexity in the antipollution system, no AdBlue, and no after-treatment system maintenance. 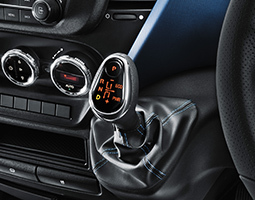 A 6-speed manual gearbox is also available. The new HI-MATIC transmission is designed to provide absolute driving pleasure with its self-adaptive shifting strategy that adjusts the gear shifting control logic, choosing between 20 different programs. Thanks to its sustainable CNG technology, the Daily Natural Power delivers the same performance and transient response as its diesel equivalent. 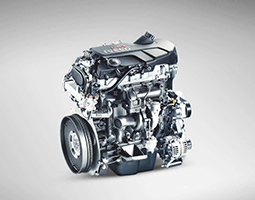 The 3.0-litre engine, with its 136hp and the best-in-class 350 NM torque. The HI-MATIC, teamed up with the 3.0-litre NP engine, pushes the boundaries in terms of fuel economy as it brings up to 2.5% fuel savings compared to the manual version. In addition, with CNG you can save up to 35% compared to a Diesel alternative. The Daily NP is perfectly at ease in a variety of working environments and missions. It is also extremely quiet, so that it can do night-time deliveries in city centres and work in low emission zones.